The Business and ICT curriculum area is located in Block 5: CREATE. The Business Studies GCSE course is offered to students at KS4.  We currently offer A Level in Business in Y12 and Y13 as well as the Level 3 BTEC National Diploma (double option) and Extended Diploma (triple option) in Business. At KS4 we offer a Level 2 BTEC course in Hospitality by invitation. Students study the main elements of roles in the Hospitality industry and gain practical experience of what it is like to work in a job role in the Hospitality industry. 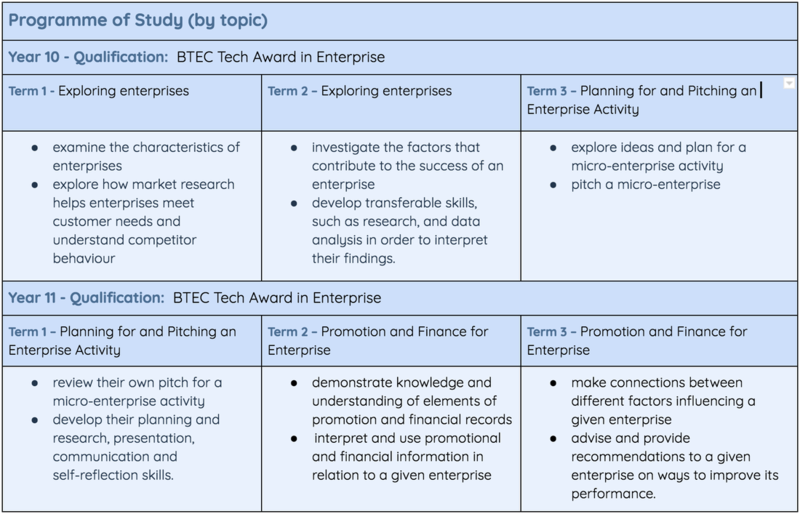 At KS4 we offer a Level 2 BTEC Tech Award in Enterprise by invitation. Students study a practical course to enable them to plan, set up and potentially run their own small enterprise comprising the legal, financial, marketing and human resource elements of a small enterprise.